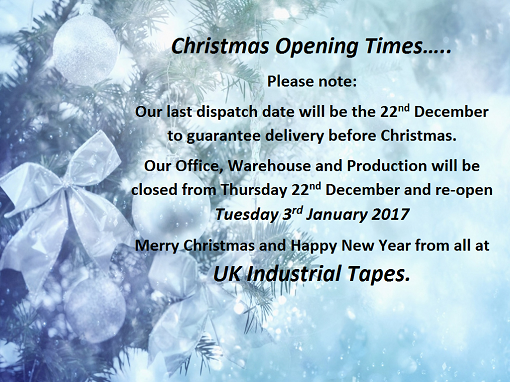 Please note our Christmas and New Year opening times for UK Industrial Tapes. If you are unsure how this will affect you please contact our sales team. From protecting artwork, to storing food products and displaying greetings cards, Crystal Clear Polypropylene Bags are a must have packaging product. UK Industrial Tapes holds a large stock of Cello Bags in an extensive range of sizes up from 50mm x 50mm jewellery bags to our largest print bags, which are over 800mm x 600mm in size. All our bags are also food safe. 40 Microns thick, highly transparent and great for protection, our self seal cellophane bags are perfect for packaging hand made greeting cards. Our print bags are 40 Microns thick and are larger than other cellophane bags which makes them great for displaying larger items of jewellery, pictures, prints and greeting cards. These bags are self sealing. Our 40 Micron Gusset Bags allow for extra depth and room for bigger goods or products. Ideal for large or odd shaped items. 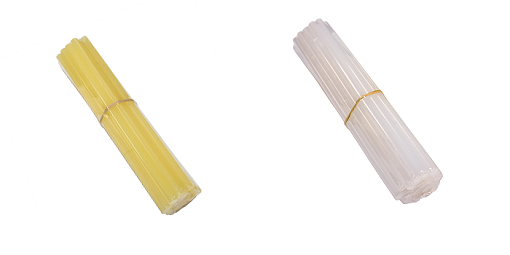 Our non self seal cello bags are 40 Microns thick and highly transparent. Ideal for packaging and protecting those larger pieces of art. From bags as small as 50mm x 50mm these jewellery bags seal at the top to keep your contents secure. Ideal for smaller products you wish to hang and display using the euro hole. 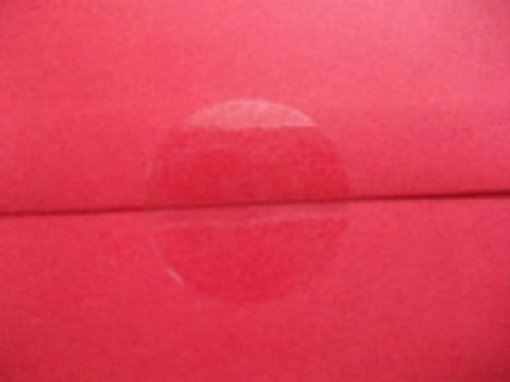 With no lip and no seal, our 30 Micron thick bags have a flush top and are used to display greeting cards. The bags are crystal clear allowing the cards to be completely visible. These self-seal euro hole polypropylene bags are 40 Microns thick and have been our most popular range at UK Industrial Tapes with the largest selection of sizes. Our bags are made from a high quality, thin and very transparent plastic. These cellophane jewellery bags have a sealing strip and a euro hole, making packaging and displaying your products easy. Highly transparent and using a grip seal, our 40 Micron thick polythene grip seal bags are excellent for displaying and protecting your products. They are also reusable. For further information or a product sample, please contact our dedicated sales team. 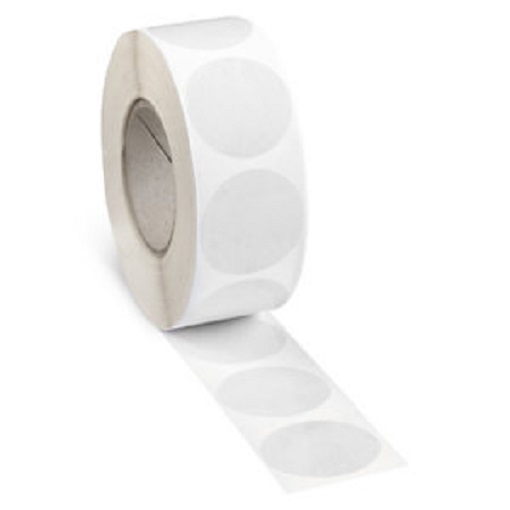 Single Sided Clear Adhesive Discs are available at UK Industrial Tapes and are ideal for securing and sealing a wide range of products. Available in 25mm diameter & 18mm diameter. Available in permanent & removable adhesive. Available perforated across the diameter. For more product information, please contact our dedicated sales team. 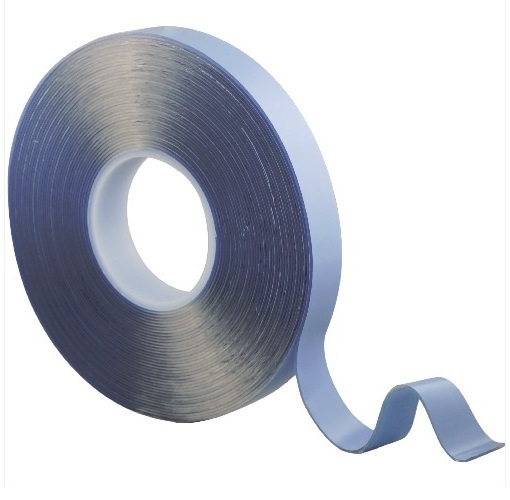 UK Industrial Tapes offers a range of Packaging Tapes which are easy to use, low noise and with a high tack strong adhesive system. Within the Packaging Tapes we can offer printed tapes with various options, please contact our sales team on the details below for further information. Heavy Duty Clutch Hand Dispenser - this can be used with all of our 50mm Packaging Tapes and helps to dramatically reduce time. 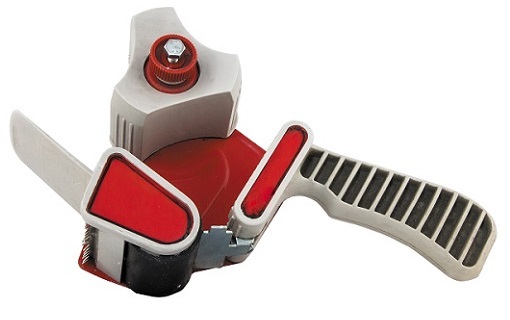 This particular hand held tape dispenser features a brake and clutch, allowing you to control the tension in the tape as it is applied. Clear Packaging Tape - This is our low noise tape, Easy to use, with a high tack strong adhesive system. 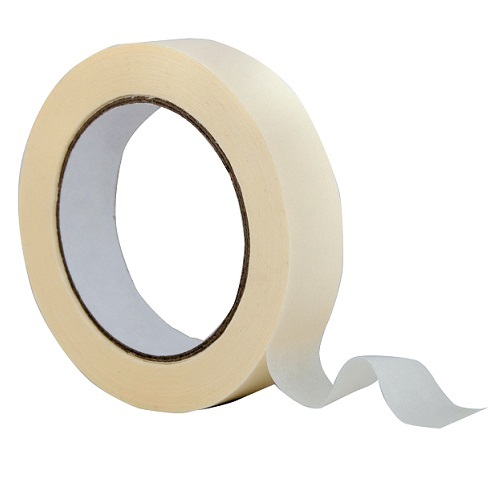 Buff Packaging Tape - A high tack strong adhesive system, mainly used for sealing boxes and boards ready for shipping. Fragile Packaging Tape - Silent Polypropylene Fragile Packaging Tape. A white background and red print. This high quality low noise tape is ideal for busy packaging departments. Please contact our sales team for further information, quotes or samples. UK Industrial Tapes Ltd offer our FoamLINK and ProLINK range for this application and have supplied the UPVC, Timber & Aluminium Window Manufacturers for the Georgian Bar application with our High Performance Tapes for over 20 years. Our FoamLINK and ProLINK Tapes provide an excellent weather & temperature resistance, will perform against high demands of expansion and contraction, provide a tremendous Peel and Shear strength which is a critical factor to ensure the bars stay in situ and offer a high initial tack with an extremely strong bond. FoamLINK Range is a “1mm, 1.6mm & 3mm thick” double sided closed cell PE foam with a High Tack Modified acrylic adhesive available in Black or White, can be slit at any width you require for your bar. ProLINK Range is a “1mm, 1.5mm & 2mm thick” double sided Clear High Performance Pure Acrylic, can be slit at any width you require for your bar. 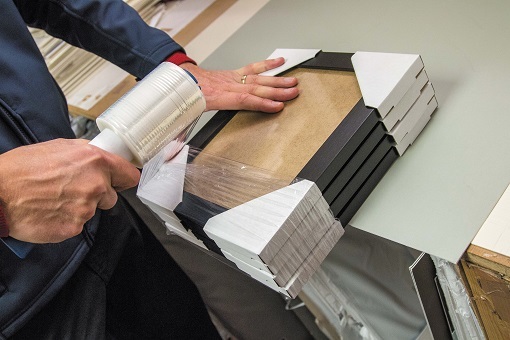 Take a look at our Application Guide, for tips we offer to gain the very best results when using our FoamLINK & ProLINK Tapes on all Georgian Bar Systems. 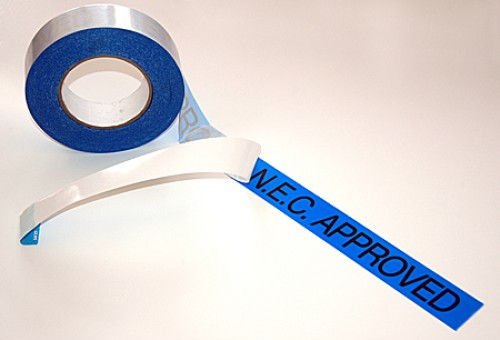 The ideal double sided adhesive NEC Tape for securing fitting carpets, carpet tiles and floor coverings at exhibition venues. This tape is specifically designed for temporary carpet installations direct to exhibition hall floors. Want to know more on our ProLINK Range? Our ProLINK Range is a ultra-high performance pure acrylic tape that offers the ultimate in PSA (Pressure Sensitive Adhesive) performance. The ProLINK was specially designed for the most difficult and critical applications, where total quality assurance is required. Used primarily in the Glass, Glazing & Construction, Sign & Display & POS markets for extremely hard to adhere to surfaces such as UPVC, Polypropylene, Styrene, Powder Coated Aluminium, Perspex & Acrylics, Painted & Varnished surfaces etc. The range is available in thickness of “0.25mm, 0.5mm, 1mm, 1.5mm & 2mm” and offered in any width from 6mm up to 1000mm. UK Industrial Tapes are manufacturers and suppliers of high performance double sided tapes designed specifically for the sign market. Our acrylic adhesives are especially formulated to work outdoor under the most testing conditions, our best all round tape is our 1103 Double Sided Foam Tape, 1mm thick PE foam and is available in white or black. As manufacturers and specialist converters we can produce our tapes in any width and format required just for any specific sign installation job. UK Industrial Tapes have a committed recycling programme which we are really proud of. We've now diverted 50 tonnes of material from going into landfill by recycling our waste in conjunction with Aim To Recycle and The Woodland Trust. 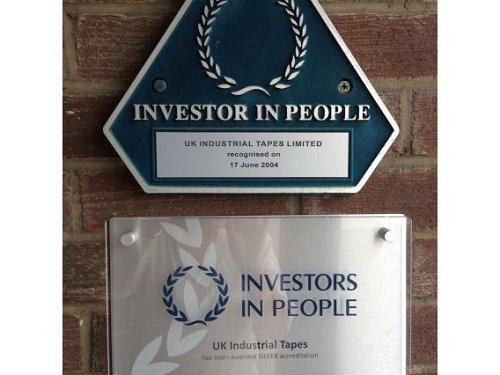 Thanks to all the hard work and commitment from all the staff at UK Industrial Tapes, we have just been awarded the Silver accreditation following our Investors in People review. Looking for a tested and approved High Performance Double Sided Tape for your Composite Door Cassette System? Our ProLINK 1000R and 1500R “High Performance Pure Acrylic Tape” has been tested and approved in the Nan-Ya and ODL Cassette Systems and approved to PAS 23/24 & SBD. ODL Cassette System – ProLINK 1000R is tested and approved. ProLINK and FoamLINK are also approved to standard BS6375-1: 2009 Performance of Windows and Doors. Please see our Glass & Glazing Brochure for further information on our ProLINK Range. UK Industrial Tapes are the UK’s largest supplier of Kraft Paper Tapes into Picture Framing Industry. 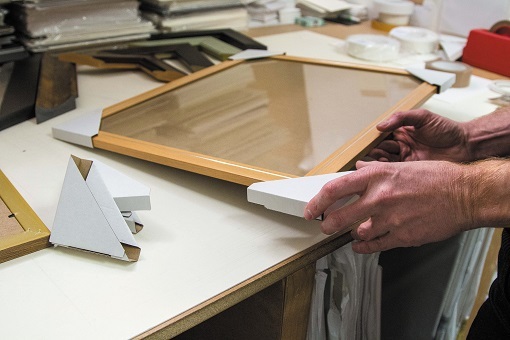 The main application for these self-adhesive tapes is to seal backing boards to frames, our tapes all have pressure sensitive adhesives and attach to almost any surface easily, mainly wood and plastic. Our Paper Tapes are designed to conform well to most surface irregularities, these tapes can be applied from the roll, smoothed on and trimmed with a blade or scissors. 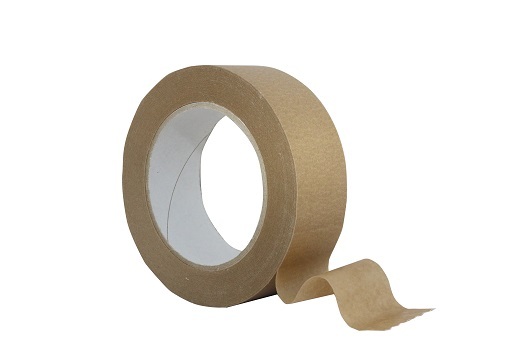 This is our 60gsm Kraft Paper Tape which is the most flexible frame sealing tape we offer. Available in 25mm, 38mm, 50mm or 75mm from stock with same day dispatch if ordered before noon on the Eco 15 range. With Exhibitors stretching wall-to-wall to provide visitors with more than 150 companies showing the latest products available for home improvement, hundreds of brand new innovations will be seen for the very first time anywhere. The FIT Show delivers the experience of meeting thousands of window, door and conservatory fabricators, installers and other trade and professional specifiers and buyers, all under the same roof in just three days. 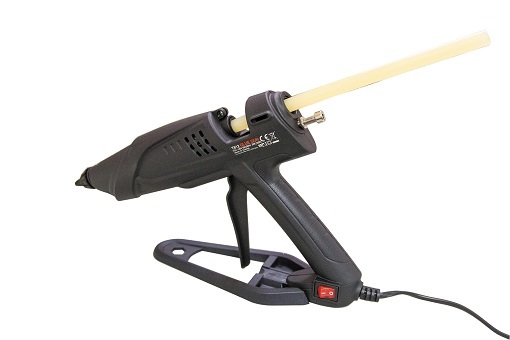 Our Heavy Duty Hot Melt Glue Gun is ideal for quick bonding of wood, card and board. 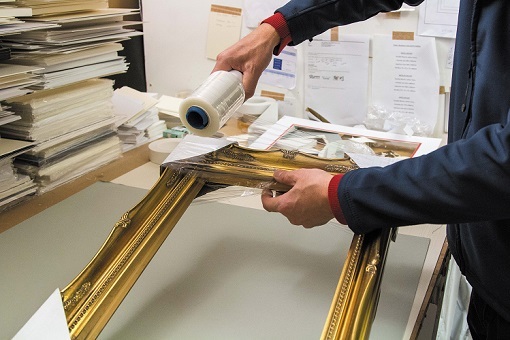 It is used for securing mirrors into frames, fixing backs into frames and for double framing. It is important to wait at least 10 minutes before using the adhesive and in between jobs please ensure the gun is kept upright. Our gun is an industrial 12mm glue gun, it is robust and easy to use. 471 is an outstanding high performance clear hot melt adhesive, specially designed for products assembly and packaging operations. This product is flexible, has good flow characterising and an aggressive tack. Clear in colour. 470 is a high performance universal adhesive for pottery, wood, plastics and difficult materials. This is our recommended adhesive for any demanding frame applications. Tan in colour. 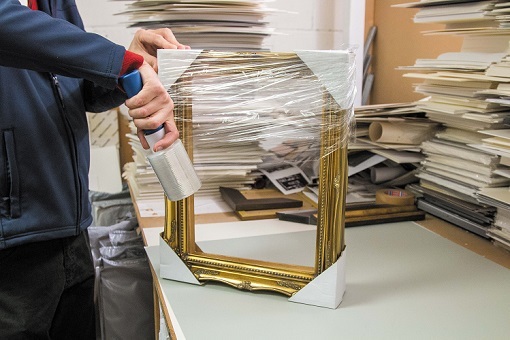 Cardboard Corners are a must have within the Picture Framing industry as they are used to protect not just Frames but Canvas, Art Works and more. UK Industrial Tapes has a large selection of Cardboard Corner Protectors which are produced from a 1.4mm thick white faced flute board. Each pack contains 50 sheets as these are supplied flat in sheet format, ready to easily press out and fold into shape for your job. 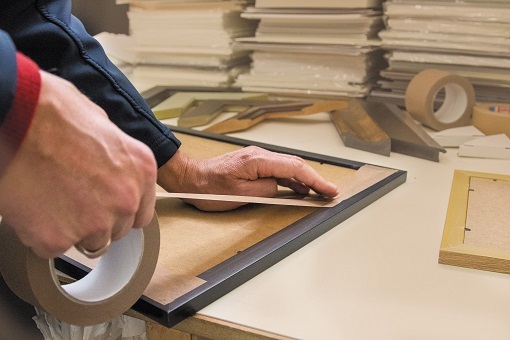 Mini Rolls, commonly called Handy Wrap within the picture framing industry, are ideal for quickly securing Cardboard Corners in place to ensure your frames don’t get damaged. Our mini rolls come in two main sizes, 100mm x 150m and longer rolls of 100mm x 300m. Both sizes fit on our standard hand dispenser allowing for a speedy application. Full product range on show for all three companies. For visitors information from Creative World please click here. Twin Tape, a commonly used expression within the print and display industries. Our 7001 and 7003 high performance tape is available in a range of sizes with vast log stock allowing for quick service. We also offer the industries favourite, Nitto 500. The Nitto 500 along with our 7003 are the strongest hand applied Twin tapes currently available. NEW for 2016 UK Industrial Tapes has decided to launch our 7001 high strength twin tape with the option of a finger-lift liner due to popular demand. Large printers are having more and more problems finishing some folders / units simply because the industry standard finger lift tape currently available isn’t suitable for laminated or UV varnished board. If you are using a double sided tape for making dump bins or any other POS / POP displays and it isn't the Nitto 500, 7001 or 7003 please contact us on 0191 2697810 or sales@ukindustrialtapes.co.uk for free samples and pricing.